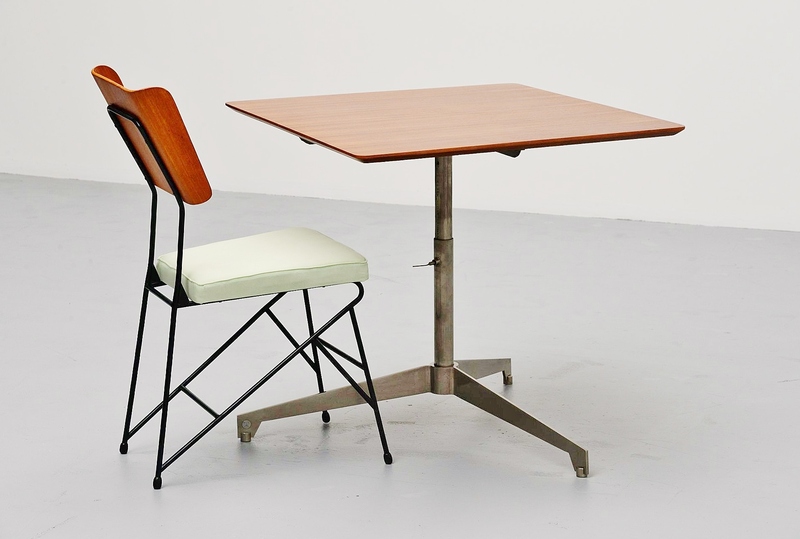 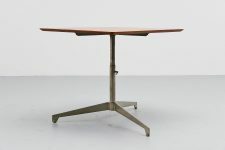 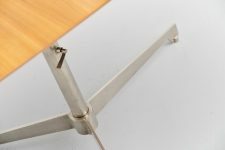 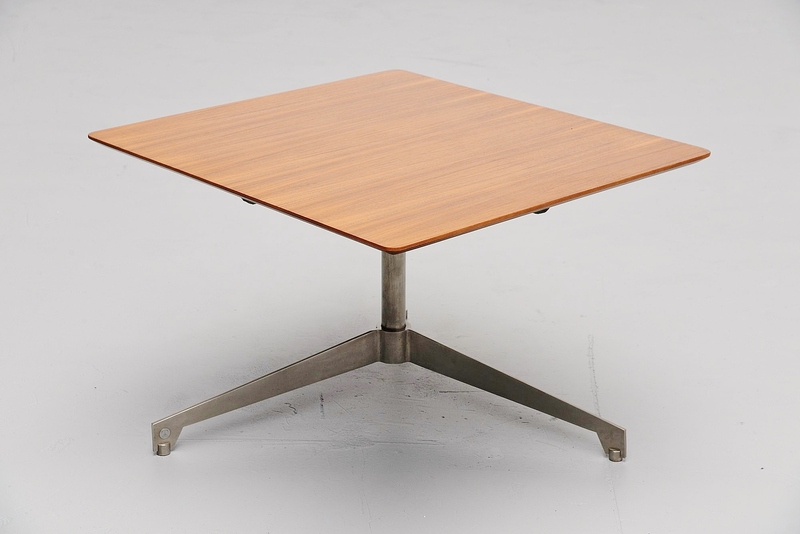 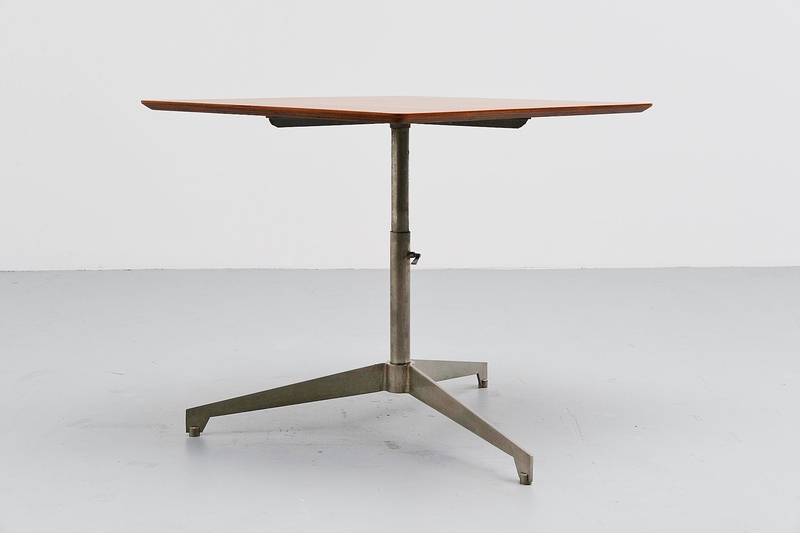 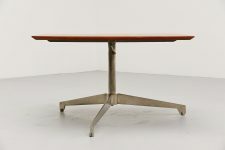 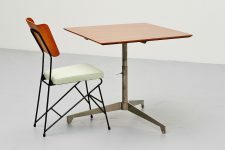 Very nice and unusual adjustable coffee/working table designed by Osvaldo Borsani, manufactured by Tecno, Italy 1960. This table has a chrome plated metal tripod base which is adjustable in height. 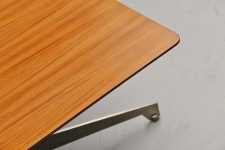 The top is made of walnut veneer and has a very nice grain to the wood. 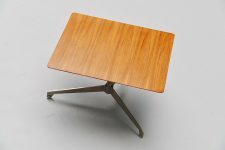 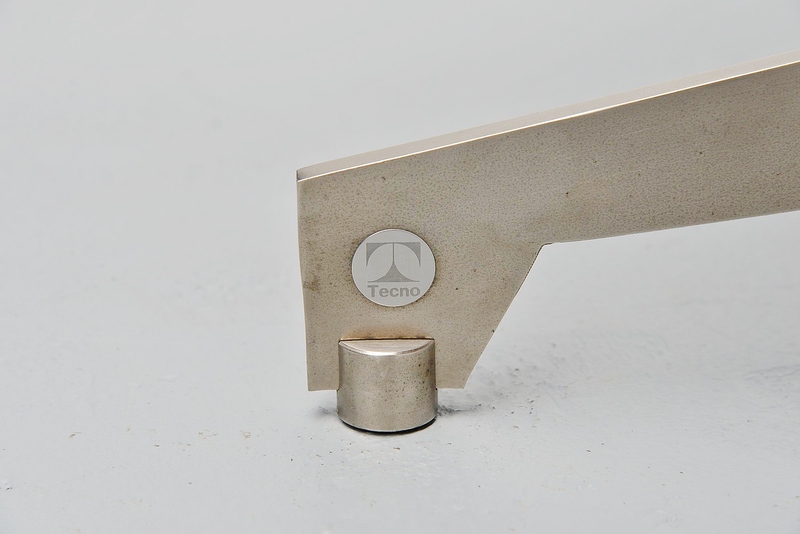 The table is marked with the Tecno metal sign on 1 of the legs.